There are currently 90,637 users on this website. 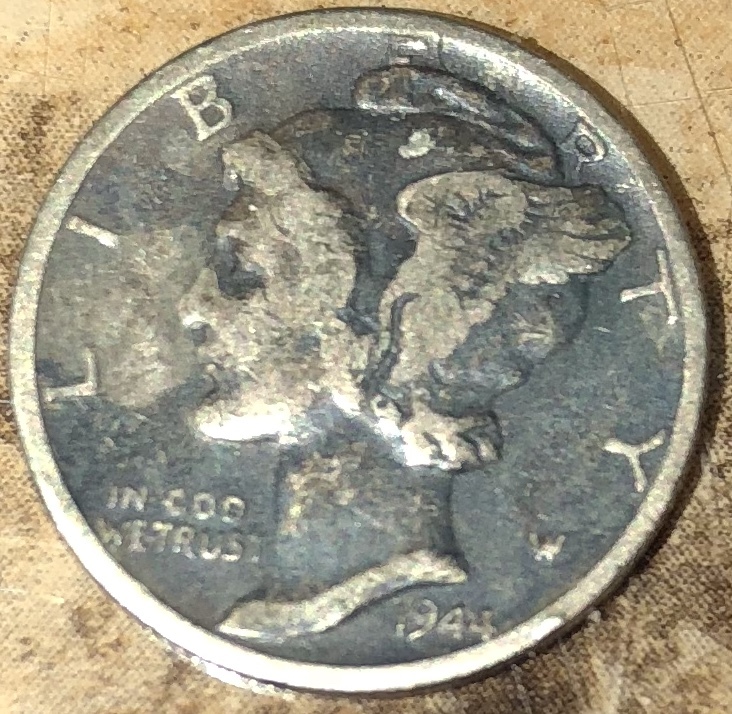 I was going through my grandfather's items after his passing and found this 1944 Mercury dime (not in the best condition/dirty) and have no idea what it's worth or if it was one of the error dimes. Can someone please point me in the right direction? can you expand on what you believe to be an error? You have posted obverse twice, without the reverse, but no chance of being full band. to CCF. Reverse pic might help. Tell us what you believe is an error. Maybe it had some personal signifigance to you grandfather (RIP) that made it a keeper to him. To CCF! I'm very sorry, that you loss your grandfather.